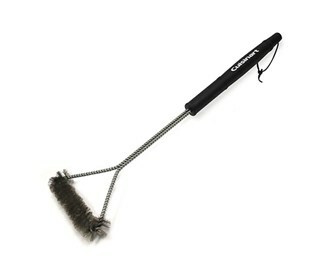 The Cuisinart CCB-021 is a tri wire cleaning brush which have a twisted wire design that digs into hard to clean spaces. The unique design of this grill brush allows to clean in between each bar on grill grate with ease. This grill covers more surface area with each motion while easily being able to get to those hard to reach places. Unlike the average grill brush, this brush is able to use from both sides. This will extend the life of brush and keep the grill cleaner longer. It has a thick bristles and wire frame construction with ergonomic handle. The Cuisinart 21 Inch Tri Wire Grill Cleaning Brush has many exciting features for users of all types. 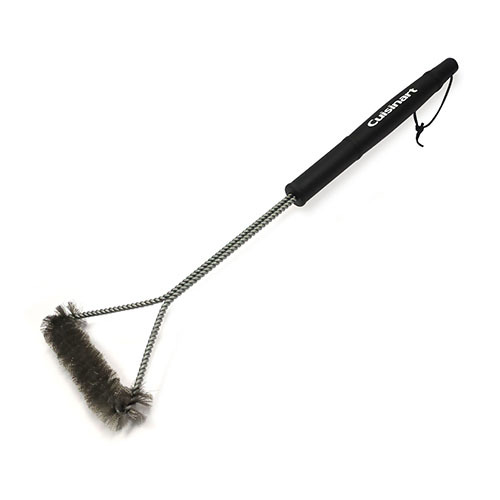 You can extend the lifetime of your Cuisinart 21 Inch Tri Wire Grill Cleaning Brush with the purchase of a FactoryOutletStore Factory Protection Plan. See the Cuisinart 21 Inch Tri Wire Grill Cleaning Brush gallery images above for more product views. The Cuisinart 21 Inch Tri Wire Grill Cleaning Brush is sold as a Brand New Unopened Item.